Roger Wilson is an independent Electrical Engineering consultant with an emphasis on forensics, providing forensic claims investigations for incidents that may have involved electricity, electrical appliances, etc. He also provides litigation support and expert opinions to attorneys, insurance companies, fire investigators, and private parties for evaluation and analysis of electrical systems, components and products. Initial 15 minutes of consultation available at no charge. Roger Wilson provides forensic investigations for incidents that may have involved electricity, electrical appliances, etc. Mr. Wilson has over 25 years of experience including supervision of electrical design work for commercial, industrial, governmental and petrochemical projects including: medium-voltage up to 69 kV, 480Y/277V, and 208Y/120V power distribution systems; switchgear; motor control centers (MCCs); dry-type and liquid-immersed transformers; motors; high-bay, low-bay, and office lighting systems; telecom systems; CCTV systems; lightning protection systems; and grounding systems. He is also well-versed with the National Electrical Code (NEC) and has a substantial amount of direct field and inspection experience. Roger Wilson provides litigation support and expert opinions to attorneys, insurance companies, fire investigators, and private parties for evaluation and analysis of electrical systems, components and products. Initial 15 minutes of consultation available at no charge. 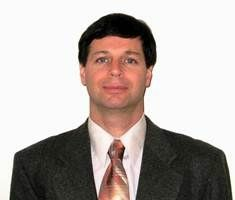 Prior to becoming an independent forensic consultant, Mr. Wilson accumulated over twenty years of diverse experience - mostly with electrical design and supervision of electrical design work for commercial, industrial, governmental, and petrochemical projects, including: medium-voltage up to 69 kV, 480Y/277V, and 208Y/120V power distribution systems; switchgear, motor control centers, transformers; motors; high-bay, low-bay, and office lighting systems; telecom systems; CCTV systems; and grounding systems. Mr. Wilson is also well-versed with the National Electrical Code (NEC) and has a substantial amount of direct field experience. Although Mr. Wilson's focus in Electrical Engineering, he is also licensed to practice Mechanical Engineering in several states - having passed the required examinations in each of the disciplines of Electrical Engineering and Mechanical Engineering. After graduating from Auburn University, Mr. Wilson obtained a graduate degree in physics from The University of Alabama in Huntsville (UAH). Mr. Wilson is certified as a Fire and Explosion Investigator (CFEI), by the National Association of Fire Investigators (NAFI). Mr. Wilson holds the official position of 2014 & 2015 Vice Chair for the IEEE Joint Chapter of Orange County Power & Energy Society (PES) / Industry Applications Society (IAS). Mr. Wilson is licensed in each of the following states: California, Arizona, Nevada, Washington, Colorado, Nebraska, Alabama, Georgia. Mr. Wilson has 25 years of varied experience, including forensics, industrial, commercial, residential, petroleum, chemical, defense, aerospace, and nuclear. Detailed CV and Professional Fees Schedule available on request. Licensed, Master's Degree, and over 25 years of engineering experience (CV and Professional Fees Schedule available on request). Courses: Electromagnetic Theory, Electro-Dynamics, Electro-Optics, Solid State Physics, Statistical Mechanics, Kinetic Theory, Classical Dynamics, Thermodynamics, Engineering Seminars, etc. Courses: Electricity and Magnetism, Electronics, Engineering Mathematics, Experimental Physics, Dynamics, Mechanics, Statistical Thermodynamics, Optics, Vector Calculus, labs. Hands-on experience wiring electrical power distribution panels, branch circuit panels, industrial control panels, electric motors, and residential framework; and classes on industrial, commercial, and residential electrical-related systems.